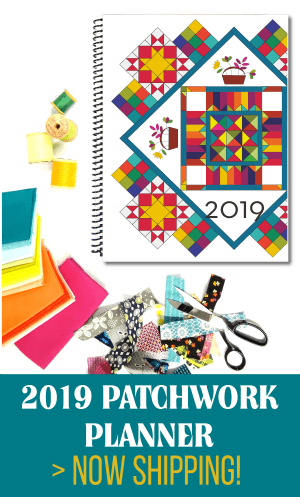 Have something in your sewing room layout that you don’t love? Are things in your way? Storage not good enough? Tables and areas of work are in the wrong spots? 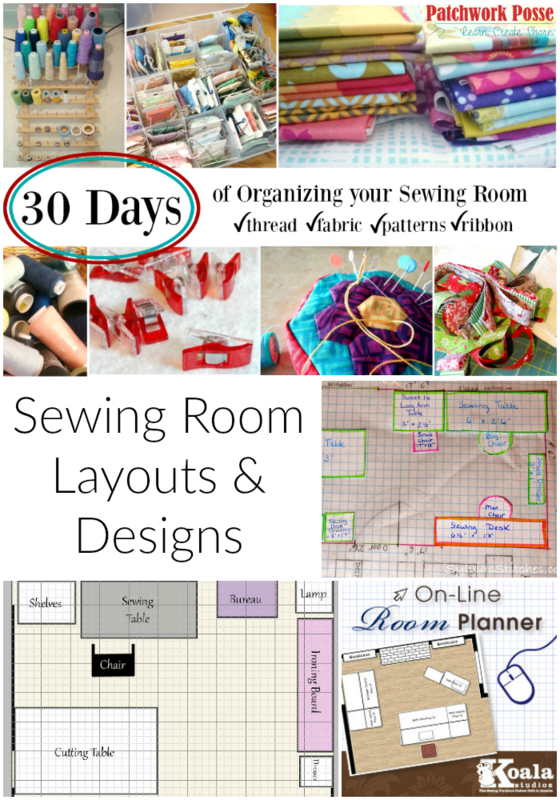 Today let’s work together to get your sewing room layout ideas & designs all put together. With a few hints and tips you can have the room of your dreams– no matter what your space looks like! Don’t just hug the walls! There is A LOT of space right in the center of the room that a lot of people over look. In my last room I had a very large table come off of the wall and into the room- this is a T shape. I loved it. I had basically two areas on it. 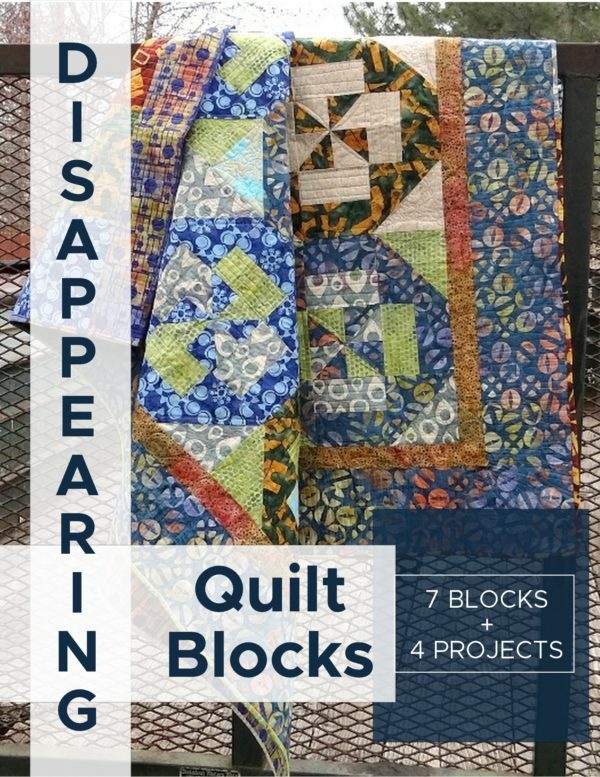 One side was the cutting which was directly across from the sewing center and the other was a spot to put supplies and templates when I was machine quilting on the other side. Worked wonderfully! Use these as a springboard. If you have another center to add, then make sure it happens. If you are a hand stitcher you might like to have a hand work center. Or a scrapbooker or paper love- you’ll want a center for that as well. Having things close to that center make it a lot easier to be creative and you’ll have more time for the fun time and not searching time. Other things to consider- storage. What kind of furniture do you have to accommodate the fun stuff you have? Is there a spot that it has to go? 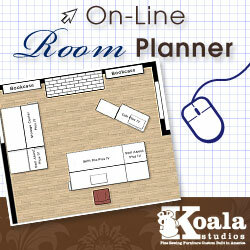 That of course will determine the rest of the layout in the room. How much storage do you have? Any closets in the room? Do you have to store it all in the room or is there another option? It does require a trip to another spot to gather up supplies (only store ones you don’t use often), but your room will stay less cluttered and more organized if not everything is stuffed into the space. 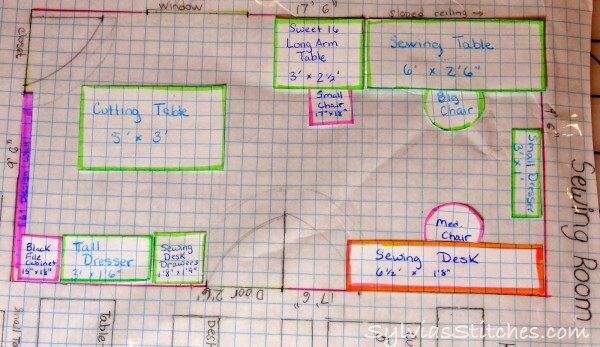 Layout your design on graph paper before you begin. Putting things on paper can help determine where things are in the room and what you have to design around- large pieces of furniture, windows, doors. After you have a pretty good idea on what you’d like to do, empty the whole room. This is hard, but really a clean room is so much easier to work with! Then bring on in the furniture. Make sure these are empty as you might be moving them around a bit and it’s not a fun thing to lug a shelf loaded with magazines from one end of the room to the other. Now’s the fun part. Start bringing in your new containers or organizing pieces and load them all up! Once everything is in it’s place you can play with the layout and other fun design stuff. Staging book shelves, counters. Decorating the walls. Do fun stuff. It’s your space. It doesn’t matter what the honey thinks or what other opinions are. Keep to what you like and how you like it. Doing this will let you be more productive in the end and you will love being in your new space. 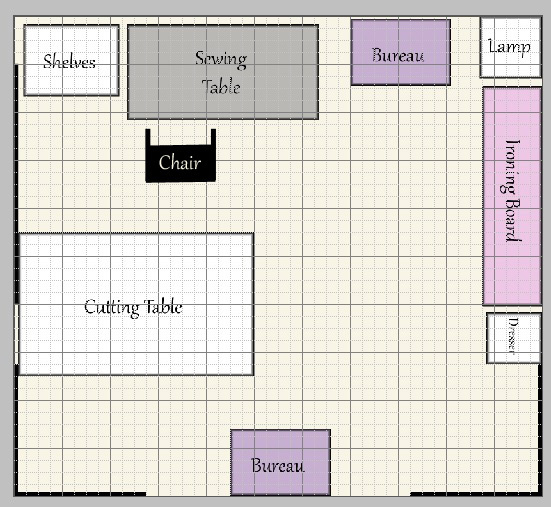 Yesterdays Thimble has a great exercise in laying your sewing room out and using graph paper. What kind of layout do you have? 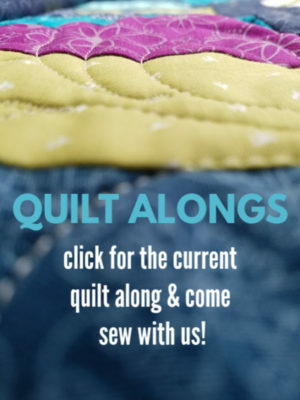 What suggestions do you have for those of us who are redoing our sewing room? Share it with us! To make things easier and faster, have your ironing table off to the side of your sewing table, then you don’t have to walk around a bunch, just turn and do the ironing and then right back to the sewing. I have a metal laundry room rack above my sewing machine, had 2 pieces of plexiglass cut to put on shelves, use top for my sewing collectables(such as my childhood Olympic little sewing machine) and some old irons, bottom shelf hold notions in tackle box type containers labeled, and my hubby put a light above my sewing area that works with the wall switch. Center I have my cutting table with swing arm lamp and multi outlet surge protector attached on side (wished it was under now), then several cabinets around for different items. Still working on more organizational ideas. That are easy to access and less functional. I currently own 8 old type sewing machines but no place to put them. 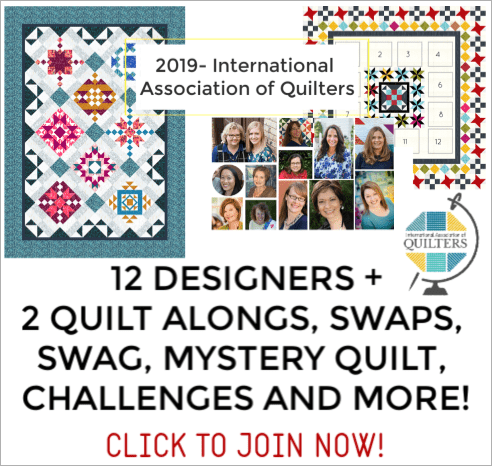 I use a Janome, a singer treadle, and have a portable Featherweight that I will keep.